In the first post of this series, I began a discussion on the importance of pastors establishing healthy boundaries in ministry. As it’s an area in which I have personally struggled, and one in which I continue to grow, I’m passionate about sharing what I have learned in order to help others not make the same mistakes that I did. In this article series, I will share keys to establishing these boundaries. Think of them as four fence posts surrounding a healthy ministry. The first “post” supporting a healthy ministry is to recognize your role in the church. You, as a church leader, are not ultimately responsible for the church. While you do have some, only King Jesus bears the final responsibility. When this boundary is ignored, the church ends up being built around the pastor, who then actually becomes part of the problem rather than the solution. At my second church plant, we had grown to a congregation of about 125 after 18 months. While this might seem like a positive development, it became a bit of an Achilles heel for me. The attendance numbers became my driving force from week to week. I would actually take time every Saturday to personally call all of our regular and occasional attendees and encourage them to be at church the next day. I was convinced that if I didn’t call everyone, the church would fall apart the next day. Because my identity was so wrapped up in our weekly attendance, if the church numbers collapsed the next day, my life, in effect, would collapse with it. When pastors misunderstand their role like I did, they tend to put all their focus on some predetermined view of success rather than those things they are biblically called to, such as shepherding and equipping. Thankfully, a combination of my wife and a pastor friend in another town lovingly pointed out to me that I needed to make some changes. It resulted in my resignation. Well, sort of. I actually got up one Sunday and “resigned.” (Yep, I used air quotes.) I told my congregation that I was going to resign as the sole shepherd and caregiver of the church. I apologized for not creating proper boundaries and explained that I was restructuring. Using some very 90s language (which wasn’t too terrible because it was the 90s), I explained that I was going to move into a “rancher” role, while appointing “shepherds” who worked there. It was a big step of growth, both for the church and myself. Although moving to a decentralized ministry model was a good step, it was a hard step. 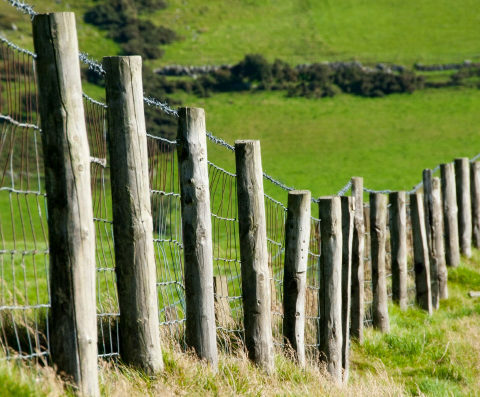 The next boundary “post” we will examine speaks to the difficulty of creating healthy boundaries: the pastor has to be healthy enough to create the boundary. Look for the second fence post, Pursue Emotionally Healthy Boundaries, next Monday. Ed Stetzer oversees all activities of the LifeWay Insights division, including LifeWay Research, Corporate Communications and Ministry Development. He has planted churches in several states and trained pastors across the United States and on five continents. Author or co-author of more than a dozen books and numerous other publications, Stetzer is a leading voice among today’s evangelicals.